It feels pointless at the moment writing about how things stand with this side and using it to predict what’s going to happen next. We put a run of a couple of wins together, before producing just one shot on target in a game where we had the chance to move into the top three. We were really good defensively, but have now conceded in each of our past nine league games. It renders it useless to read too much into the Port Vale result and performance. It feels like we could just as easily go to Carlisle and produce our best display of the season, as we could go down to a dreary defeat. It seems that it’s not quality that separates the best and worst sides at this level, but consistency. We’ve managed to keep ourselves around the promotion race based on just a couple of good runs of form. Given the attacking performance against Port Vale though, I would expect that Mark Robins won’t choose to play Jack Grimmer on the wing any time soon. It seems like it was a decision made in aversion to either playing Devon Kelly-Evans – who was poor against Wycombe – or shoehorning Marc McNulty or Duckens Nazon on the wing. Instead, Robins ended up opting for an even worse decision that left us blunt going forward. 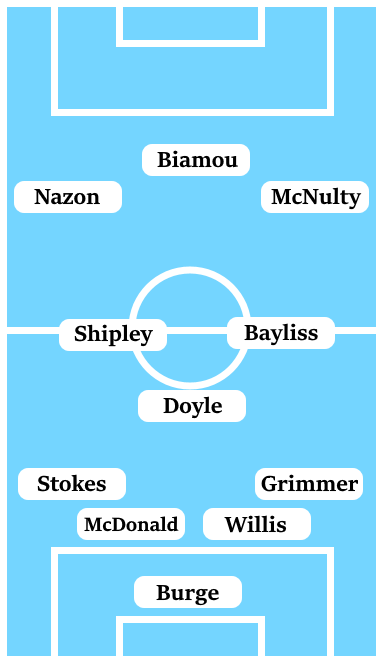 Unless Robins goes for a change in formation, I would expect McNulty or Nazon to be played out wide. 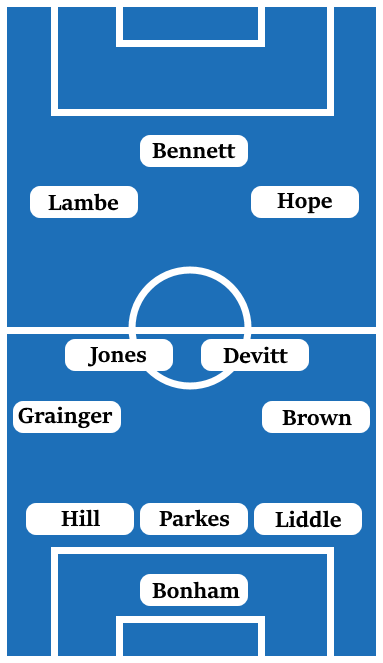 It’s hard to see much room for changes elsewhere, although with the Chesterfield home game coming so soon after a long trip back from Carlisle, squad rotation may be influence team selection. That possibly leaves opportunities for the likes of Ben Stevenson, Stuart Beavon and Jordan Ponticelli to stake a claim for regular first-team football before Robins changes things up again in the January transfer window. It was a typical kind of performance and win for us earlier in the season against Carlisle. After a dour first-half, we improved enough to put our opponents to the sword. An excellent pass from Liam Kelly sent Duckens Nazon through for the opening goal, before Peter Vincenti scrambled in a second to seal the win. Carlisle are another side where you don’t really know what you’re going to get from them. Away from home, they have the third-best record in the division, but have only won three of their 12 home games, which has left them moored to mid-table. However, they have won their past two games, which will given them confidence heading into this game. Carlisle are currently coping with the loss of their best attacking player, Nicky Adams, who picked up a season-ending injury back in November. Without an out-and-out star player, Carlisle manager Keith Curle has gotten good use out of a number of other attacking players in the form of the pacey winger Reggie Lambe, set-piece expert Jamie Devitt, and box-to-box midfielder Mike Jones. The goals in the side have been fairly evenly distributed across the strikers Shaun Miller, Richie Bennett, and Hallam Hope. Furthermore, left-back Danny Grainger has scored an incredible eight goals this season, although this is mainly because he takes free-kicks and penalties (which is still really impressive). Keith Curle has been a manager who has struggled to organise defences, particularly since taking over at Carlisle, but the signing of the vastly-experienced Clint Hill has made a difference. Another difference since we last played them has been that goalkeeper Jack Bonham has established himself as first-choice after overcoming a number of high-profile errors in the opening weeks of the season. Nonetheless, Carlisle are a team that have errors in them at the back – whether that’s the goalkeeper struggling to claim crosses, or getting caught trying to play the ball out from defence – that we should be looking to exploit. Given their relatively poor home record, we should be looking to come out and attack this game, hopefully preying on the nerves of the home crowd. As mentioned earlier in this post, it’s the sheer inconsistency of this side that makes attempting to predict what’s going to happen next so difficult to do. That being said, our away form is becoming a concern again and with Mark Robins looking to rotate the squad with the game on New Year’s Day in mind, this might be a game at the wrong time for the manager to sort out what went wrong against Port Vale. My inclination is that we will lose this game 1-0.